Virtual production is revolutionizing features and television, affirmed speakers at the Hollywood Professional Association’s Technology Retreat panel. The panel included MPC’s Christian Robertson, David Morin (Chairman, Virtual Production Committee) and our very own CEO Chris Edwards. The panelists discussed the extensive virtual production use in The Jungle Book, opening April 15, and Robert Zemeckis’ The Walk (speaking of which – TTF provided previs and postvis for The Walk). On The Jungle Book, TTF’s virtual asset department worked closely with the production’s art department and concept artists to build a 3D jungle. We rigged it so that director John Favreau could use a joystick to virtually location scout the jungle and explore what he might want to shoot later. If this sounds like a cousin to VR, you’re not wrong. We can render this 3D environment in stereo, put on a VR headset and be fully immersed in a process called environment tech scouting. Chris explained: “Virtual production and virtual reality are converging around the use of a game engine — technology that the gaming industry has been nurturing for many years. And now with head-mounted VR displays, it’s becoming an interesting way to do a kind of preproduction [location] scout and virtual production, so that you can feel the scale of the environments” (The Hollywood Reporter). TTF and MPC are no strangers to VR, having worked together on The Martian VR Experience for our sister company, The Virtual Reality Company. 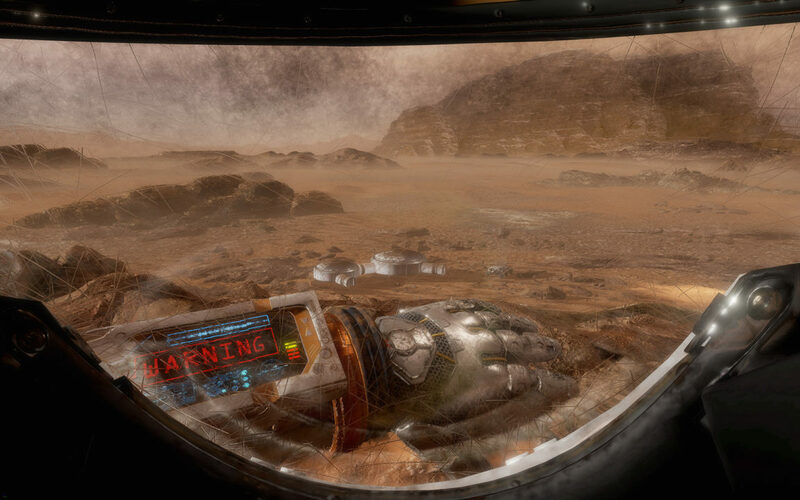 An arm warning alerts the user in The Martian VR Experience for Fox Innovation Lab and The Virtual Reality Company. TTF visualized hundreds of (literally) moving pieces for Nissan's Altima's "Wouldn't it be Cool?" commercial.